- Speed : Changes the speed of the Tremolo Pan effect. - Depth : Changes the depth of the effect. - Sync : Synchronizes the speed (rate) of the Tremolo Pan to your host BPM. 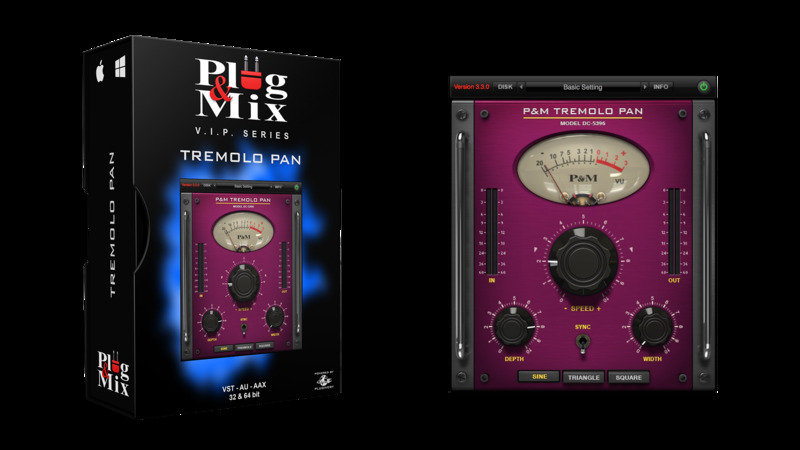 - Width : Increases the stereo width of the Tremelo Pan effect. - Selector buttons : Choose between Sine, Triangle and Square Tremelo Modes.